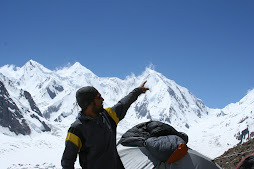 Mirza's Blog: Naming the unnamed mountain and routes after the sponsor! Naming the unnamed mountain and routes after the sponsor! 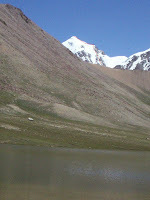 (Chishkin Sar 6400m and an Unnamed peak 6300m). my offer to the sponsor, is that, i will be naming the unnamed and unclimbed mountain and the routes after the sponsor or enterprise!the launching details will be sent to k2climb.net and other online news channel and magazines as well ,since two of these mountains are unclimbed and unnamed!the unclimbed and unnamed peak route has been marked red,in the posted photos, the mountain and route will be named after the sponsor. 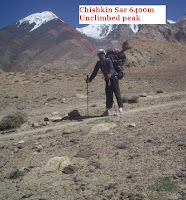 Chashkin Sar 6400m has not been climbed, and the route will be also named after the sponsor,if the sponsor sets any criteria for it too! A detail report will be sent to the sponsor,movie along photos (DVD)will be sent to the sponsor. Hello Mirza, this is wonderful, i wish you success and luck! best of luck!praying for your sponsorship! hope you will be a good climber of pakistan!